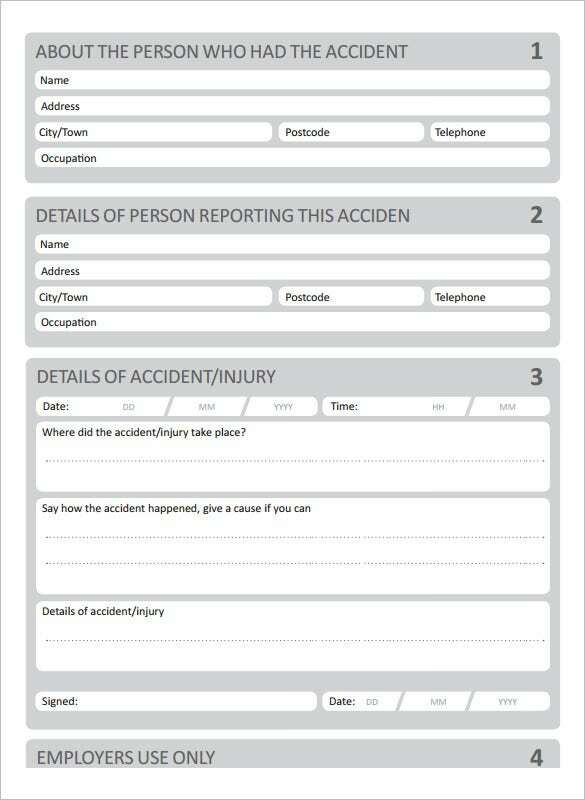 Accident Incident report samples are necessary when a worker has got injured in his professional site. 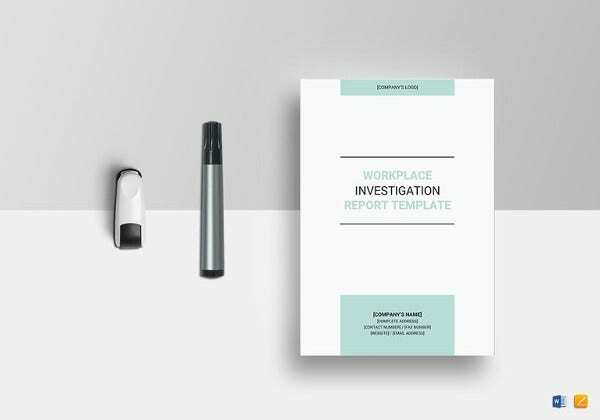 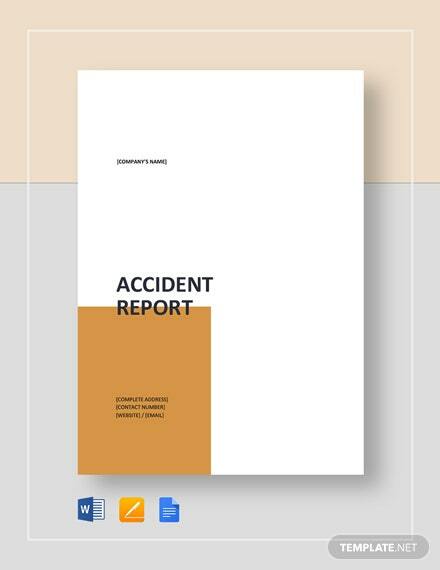 These reports templates feature complete details about the accident that further helps in investigation. 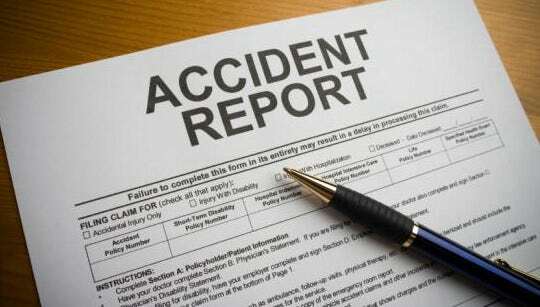 Moreover, the accident reports are really helpful when the worker is looking to demand personal injury claim on the account of his accident. 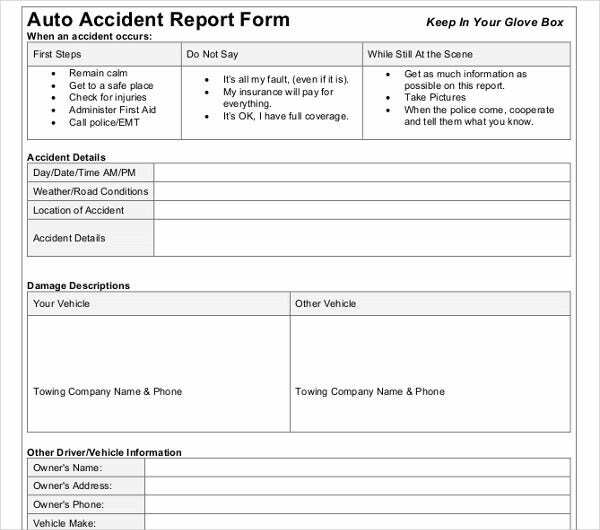 But when an accident occurs, there is hardly any time to compile a complete accident report. 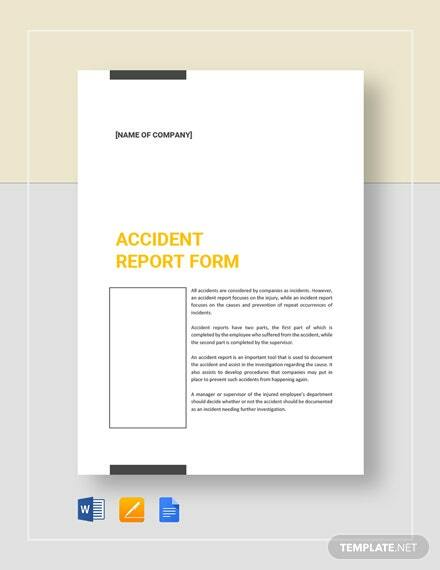 Creating a full accident report is no doubt a tedious job and hence it’s wiser to rely on accident report samples. 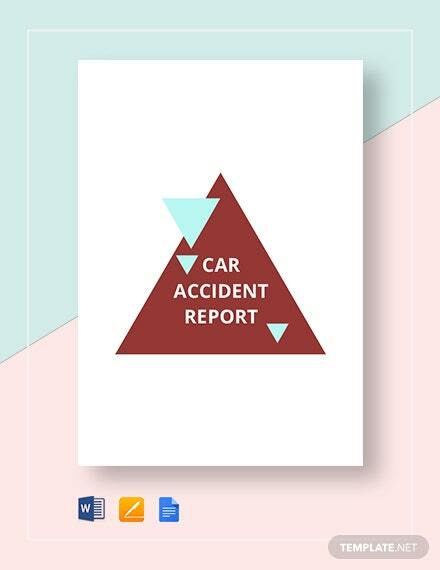 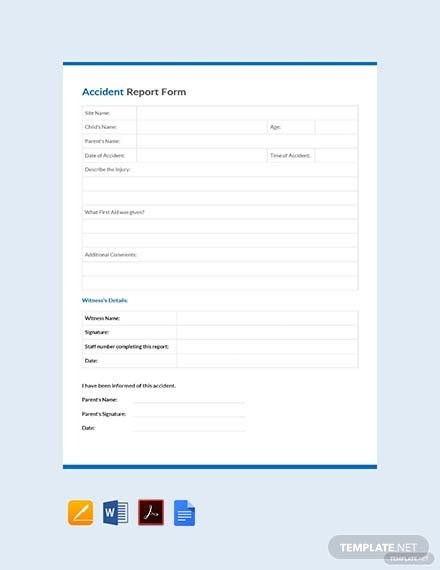 The accident report templates are available online and most of the sites offer a free download. 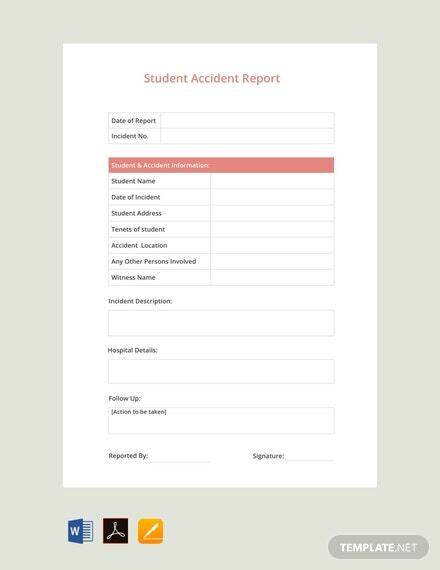 These are like ready-made forms where you have all the points covered by a typical accident report featured beforehand and you would simply need to submit the related information. 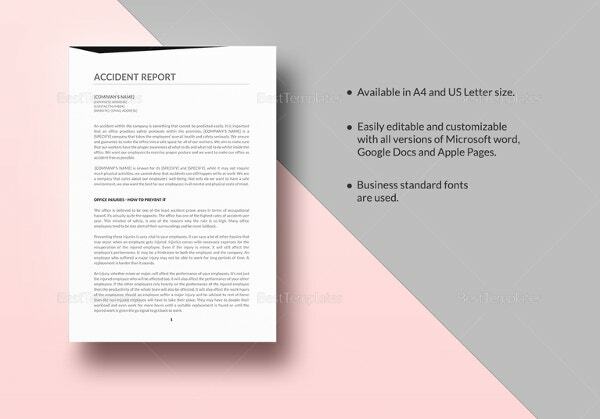 You may also see Word Report Templates. 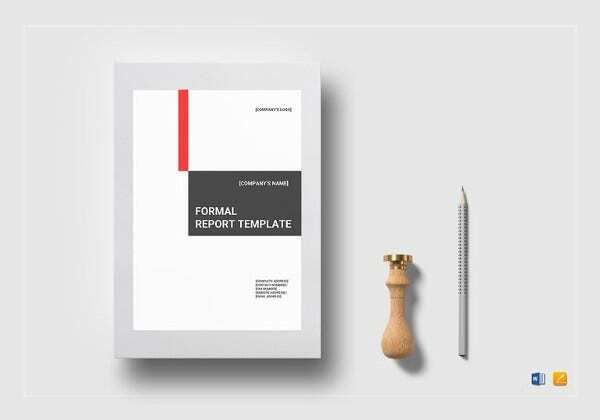 When you get a pre-made form to work on, the report-making gets simpler and easier. 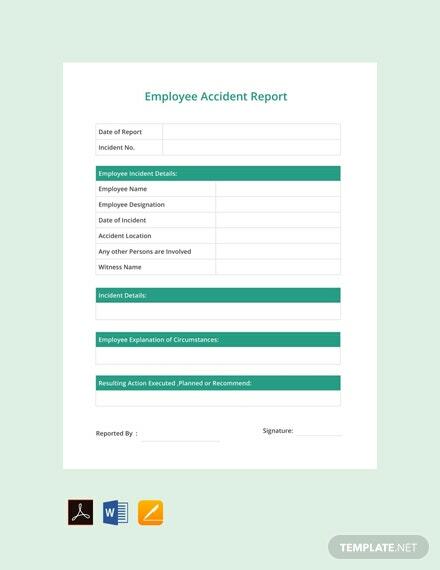 It saves you lots of time and energy needed to create a complete accident report from the beginning. 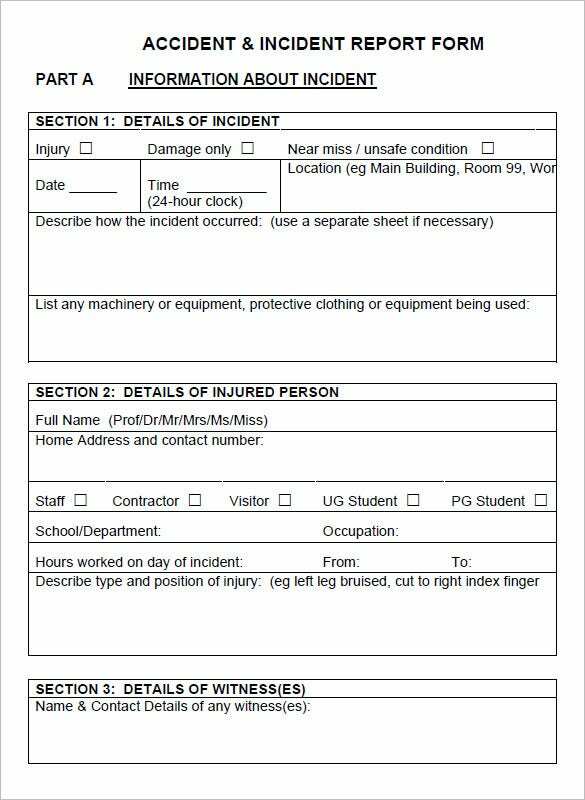 You would be able to deploy the saved time in taking care of the worker injured. 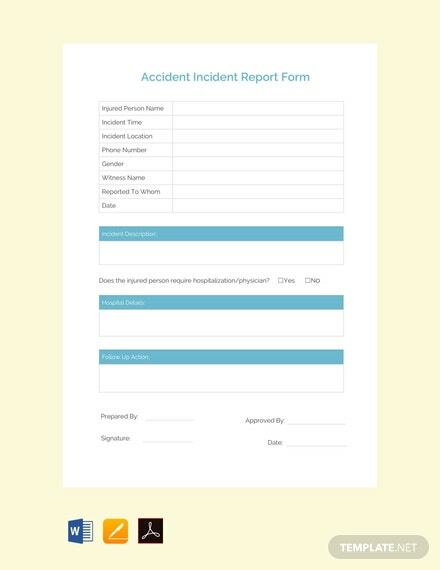 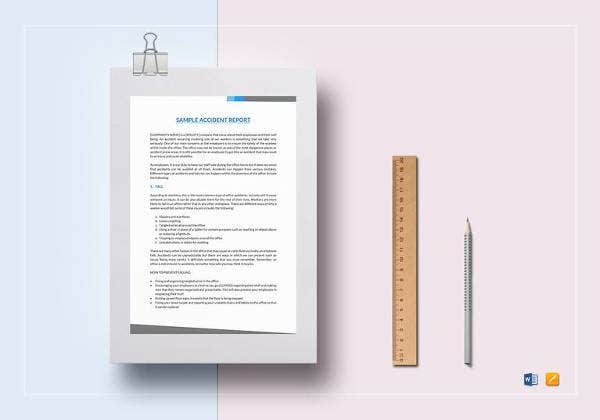 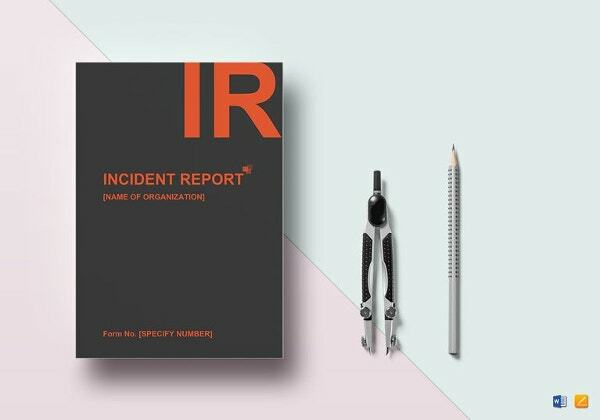 You may also check out Incident Report Forms Moreover, as these templates are generally customizable, you would be able adjust them according to your specific needs. 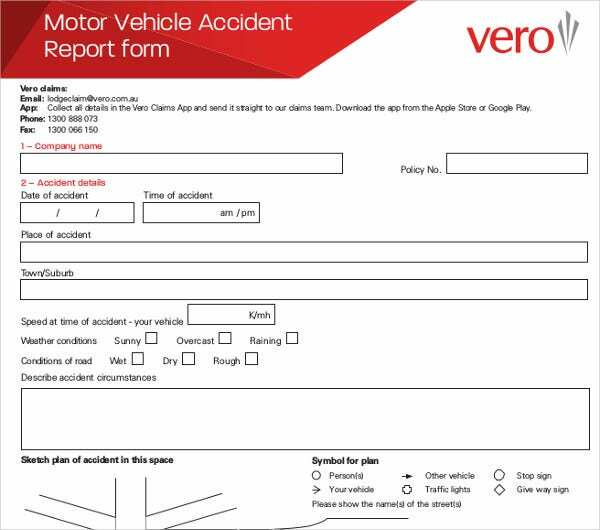 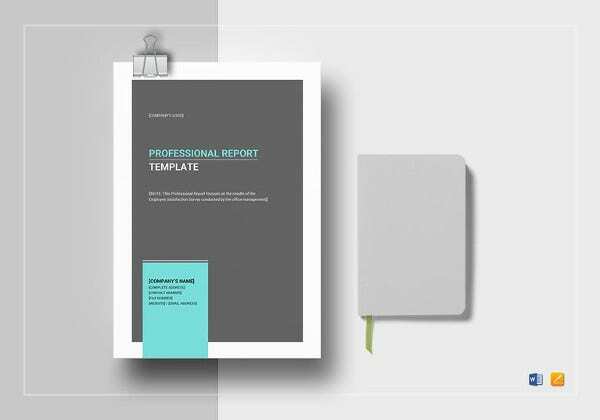 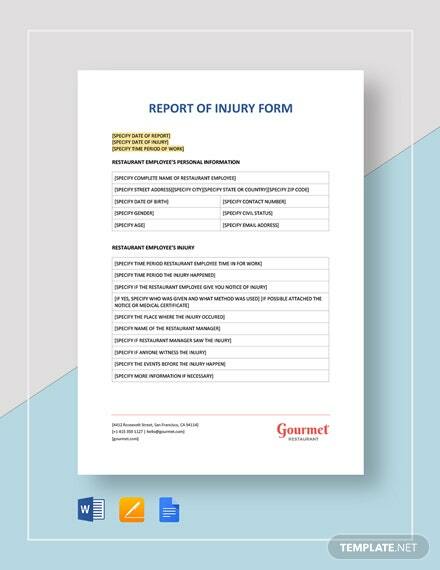 We have collected some sample Accident Report templates, hope these templates will help you.